The Xbox One is Microsoft's first new gaming console in eight years. It's a quality piece of hardware but it's also noteworthy because Microsoft is using it to make a statement. Video game consoles are no longer just gaming consoles. They're computers for your living room. So how does the Xbox One, which goes on sale for $499 on Friday, fare with that in mind? 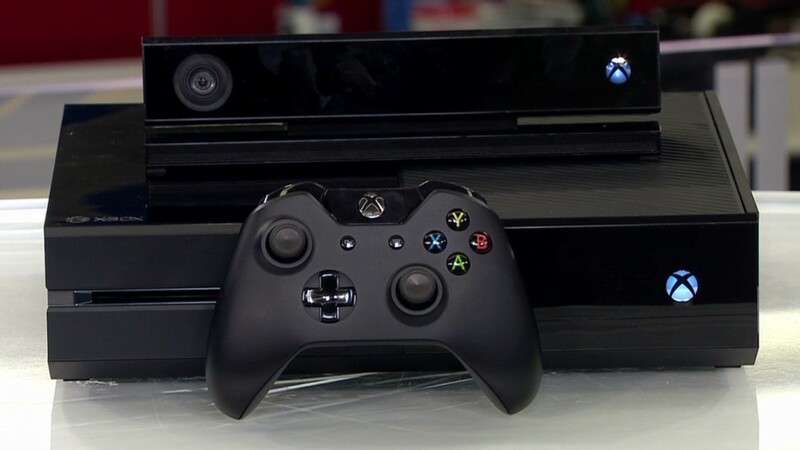 Hardware: The Xbox hardware is big ... even by next-generation console standards. It's bigger than a cable box and Blu-ray player, but thankfully smaller than an AV Receiver. That said, the Xbox One is tastefully designed, which makes its size less of an issue. The combination of finishes, textures and angles make the all-black box fun, but not loud. You won't have to hide this away from public sight. On the inside, the Xbox is now powered by the same developer-friendly 8-core processor as Sony's PlayStation 4. It also has 8 gigabytes of RAM, but its approach to using these components is very different from its competitor. Instead of letting developers access the full power of the system, Microsoft (MSFT)partitioned off a chunk of the system resources so they can only be accessed by apps and entertainment content. Conversely, those apps can never access the part of the processor devoted to games. This is done mostly to ensure that apps and services can run continuously in the background with little to no effect on the game. But it's also an acknowledgment that these devices are evolving past their primary function as gaming machines. Controller: The Xbox One controller isn't radically changed from the Xbox 360's, but there are enough changes to warrant calling it the best Xbox controller yet. Though the controller is more angular in appearance to match the console itself, it's every bit as comfortable to hold as its predecessor. The joysticks have a deeper concave well for thumbs and a grippy ring around the edge to lessen the chances of finger slippage. The rear triggers and shoulder buttons are bigger and more accommodating of different ways gamers may hold controllers. They also have vibration motors built into each button, which adds a more realistic dimension to certain games. And the D-pad has been redesigned, eschewing the mushy-feeling circle for the more traditional, clicker cross. All of these improvements should make first-person shooter and fighting game fans happy. Graphics/Performance: Are the graphics improved over last generation? Yes. But is that improvement as immediately noticeable? Not necessarily. A quick glance at the Xbox launch titles may indicate that graphics haven't made a huge leap forward. Still, the overall visual experience feels heightened. The added processing power now allows for more things to happen on screen at once. You can be battling your way through a game with hundreds of objects and characters on screen, and it will look and feel as smooth as the best titles on the Xbox 360. The lighting effects, such as the sun shining through clouds or candlelight reflecting off metal, are noticeably better than before. That goes a long way towards making the games feel more realistic. And little details, like the body movements of characters and the expressions in their faces as they speak, are starting to look more natural. All of this adds up to a more cinematic experience. UI/Apps: Last year's update to the Xbox 360 adopted some of the design from Windows 8 and Windows Phone. The Xbox One interface is now fully assimilated into that world: it is all about brightly-colored tiles. In many ways that's for the better. You can pin your favorite apps and games to the console's dashboard. But you can also do that for favorite albums and TV shows to allow quick access to things you regularly consume. Snap apps are another big plus. Like Windows 8, the Xbox will let you to take up a quarter of the screen with a second app in the form of a widget. This can give you quick access to controls in the Xbox music app or score updates from the NFL app. If you have a special form of ADD, you can play a game and watch TV at the same time. This is a feature loaded with potential, especially when it comes to Internet Explorer. Microsoft's browser can recognize and load more mobile-optimized version of sites when you have it snapped. But if people started creating versions of their sites optimized for this snap mode, it could change the way people consume web pages on their TV. Many of the initial launch apps still weren't available at the time of this review though. So it's hard to say how offerings like Netflix, Hulu and ESPN fare on the new console. But Microsoft's own apps did show plenty of promise. OneGuide: In addition to delivering entertainment via apps, the Xbox One also allows itself to be a conduit for your cable TV. By plugging your set-top box into the Xbox, you can access normal TV without having to switch inputs. You can also control the essential functions of your TV, cable box or other components such as volume and changing channels. Microsoft also created OneGuide to improve the process of TV navigation. It doesn't do anything radically different as far as predicting what you want to watch, but it looks nicer and feels more responsive than most boxes -- which are usually terrible. One guide will also allow you to use voice commands to search for channels by name. It will also let you add in streaming video apps as "channels." But if you don't want to use the Xbox guide, it's still perfectly possible to just use your existing remote and set-top box guide through the Xbox. The biggest takeaway from OneGuide is that, combined with the games, streaming video and music apps and Blu-ray player, it's possible to use your Xbox for every facet of living room entertainment. Voice Commands: Speaking of voice commands, one of the biggest selling points of the Xbox One is that you can tell it do whatever you want instead of using a remote or a game controller. You can turn the console on using your voice. You can launch an app. You can snap an app. You can switch between apps. You can launch internet searches with Bing. But for now, it's very much a work in progress. Any given voice command worked about as much as it didn't work. And unlike what Google (GOOG) is doing with its Now service, or even Apple (AAPL) with Siri, the Xbox One's voice command requires very specific commands. You have to state the full name of games. You have to use the precise jargon to trigger an action. Your speech has to be clear and properly cadenced. All of these variables make for an experience that requires more effort than just using the controller. But when you do get it to work, it's easy to see how powerful it could be if Microsoft improves on it in the future. Kinect: The Kinect hardware is definitely better, but it's still hard to say what that means for the experience on Xbox. None of the games provided with the review unit made a compelling case for Kinect, though a couple of upcoming titles like "The Fighter Within" may change that soon. Using connect to control your Xbox with your hand doesn't feel much better or worse than it did with the 360, which is to say that it's still gimmicky. One of the best uses for Kinect is Skype calling, which turns your living room into some sort of George Jetson visage of the future. But what really stands is that the Kinect camera will follow you as you move around the room. That's very cool. Xbox Fitness also takes advantage of the Kinect to good effect, tracking your movements and showing what muscles you're using as you make your way through a workout video. But Kinect still needs a major hit -- and not a collection of half-baked mini games -- to really showcase its potential. Verdict: The Xbox has some kinks to work out with its system software, voice recognition and Kinect camera. It will also take a while for the truly great games to arrive. But Microsoft has produced a console that is worth the money now, and will really be worth it down the road as long as you're fine with their overarching philosophy that these devices are now living room PCs.